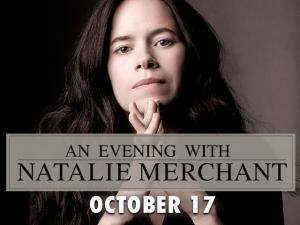 Singer/songwriter Natalie Merchant, former lead singer of the folk-rock band 10,000 Maniacs, is bringing her “Leave Your Sleep” tour to AMT on October 17! Come hear your favorite tunes, along with selections from this new double album of poems written by 19th and 20th century American and British poets, set to music. Purchase tickets now for this extraordinary event!